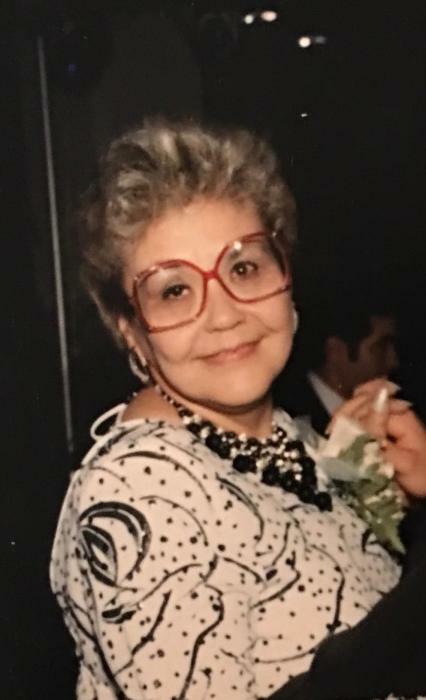 Halina Szymczak of Honesdale, PA, passed away Saturday, March 16, 2019 at her home. She was 78. The daughter of the late Michal and Janina Pokrzywinska Szymczak, she was born February 23, 1941 in Poland. Halina had been a self-employed Antique and Vintage Saleswoman; and she was a fashionista. Halina had been a waitress in New York City at various restaurants and diners. She was a communicant of St. Peter’s Roman Catholic Church in Liberty, NY. Survivors include her daughter, Barbara A. Bitjeman and her husband Tony of White Sulphur Springs, NY; her brother, Tadeusz Szymczak and his wife Genevieve of Queens, NY; her grandchildren, Heather Bitjeman, Rachel Bitjeman, Summer Bitjeman and Christopher Bitjeman; and her niece and nephews, Andrew Szymczak, Mark Szymczak, and Celena Anello. Visitation will be Sunday, March 24, 2019 from 4 to 7 PM in the Harris Funeral Home, West St. at Buckley, Liberty, NY. A Mass of Christian Burial will be Celebrated on Monday, March 25, 2019 at 10 AM in St. Peter’s Roman Catholic Church, 262 No. Main Street, Liberty, NY. Father Edward Bader will officiate. Burial will be in St. Peter’s Roman Catholic Cemetery, Liberty, NY. Memorial contributions in her name may be made to the Sullivan County SPCA, 104 Rock Hill Drive, Rock Hill, NY 12775 or to St. Jude Children’s Research Hospital, 501 St. Jude Place, Memphis, TN 38105.